The Handbell Choir is a mix of experienced and developing musicians who enjoy learning new music together. BUMC has a newly-refurbished three octave set of handbells set in its own rehearsal space in the balcony of the sanctuary. A substantial library of handbell handbell music of many genres has been developed over the years. Rehearsals take place in the balcony of the sanctuary on Thursday evenings from 6:30-7:30. New members are always welcome! For more information, please contact Jessica Bardelli: Choir Director, at music.bumc@gmail.com or 203.743.6835. The Chancel Choir is a group of dedicated singers who enjoy each other's company and singing in four-part harmony. Under the direction of Jessica Bardelli, the Chancel Choir sings at every 10:00 service from September through June. 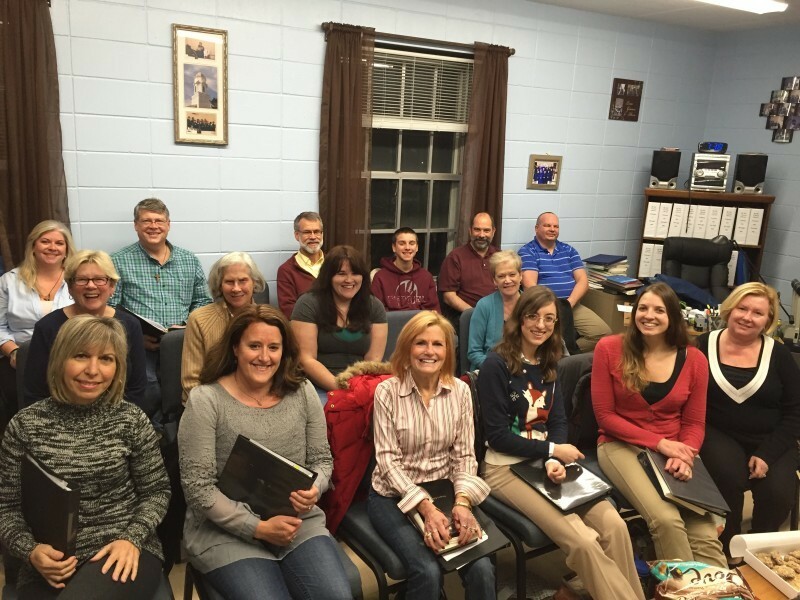 The group consists of a variety of singers who come from Bethel and surrounding towns. Some are students, some are working professionals, and some are enjoying retirement. Many of our choir members are musicians who perform and/or teach music in the area. BUMC has been blessed with several outstanding choir directors in its history who have all contributed to the extensive, 700+ volume choir library that spans decades of sacred music from classical to contemporary. Rehearsals take place on Thursday evenings from 7:30-9:00 and on Sunday mornings from 9:30-10:00, in the choir room. New members are always welcome!